A full-service pool contractor, Texas Fiberglass Pools Inc. offers a broad array of quality services, from fiberglass pool plumbing repair to baptistery resurfacing. We’ve yet to encounter a job that we can’t handle. Whether you want to install a new custom pool for your home, need an Allen Fiberglass Pool Repair or you need to repair cracks and blemishes in your existing gunite pool or hot tub to make it look like new, you can count on our experts to get the job done. 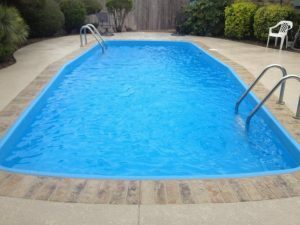 Texas Fiberglass Pools Inc. also offers services to make your outdoor pool area in Allen safer and more attractive, including deck resurfacing, tile replacements and coping renovations. When you want to create an outdoor activity space for your Allen home, our free written estimates make it easy to explore your options. The City of Allen had as few as 400 people when it was incorporated in 1953. Today, the vibrant city boasts close to 86,000 residents and is one of the fastest growing suburbs near Dallas. Allen is a fun family-oriented town that takes education seriously. The city’s most recent claim to fame is Allen High School’s new 18,000-seat stadium. Many Allen homeowners invest in backyard amenities like swimming pools and spas to enhance their family life at home, and they depend on the pros at Texas Fiberglass Pools Inc. to keep them looking fresh and fabulous. Providing fiberglass pool resurfacing, pool repair and pool maintenance throughout Allen, Texas Fiberglass Pools Inc. is proud to be Allen’s premier source for quality pool, spa and fountain services. There are different materials people use to line modern day pools, but we can assure you that fiberglass is the most durable, affordable, and easiest to install and maintain. Fiberglass pools maintain their shape in any condition, and they require much less maintenance that last decades without ever needing a full resurfacing or much crack repair.